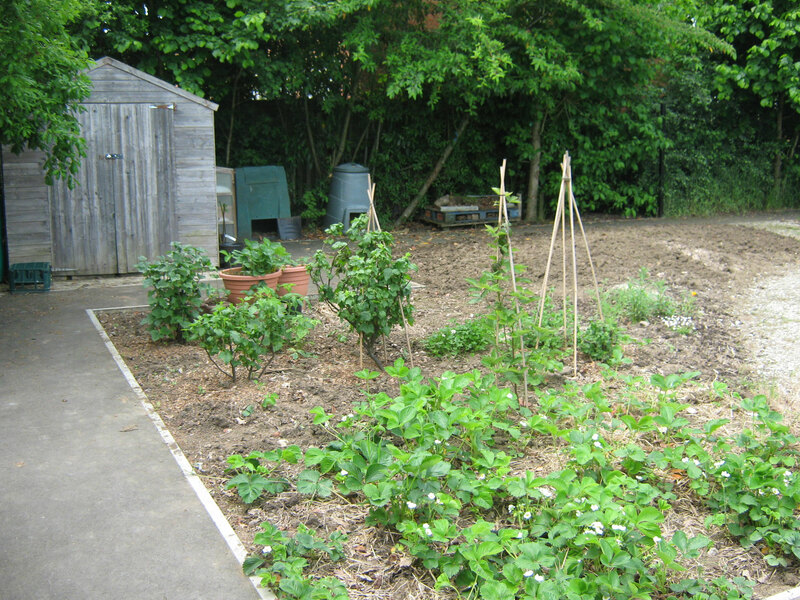 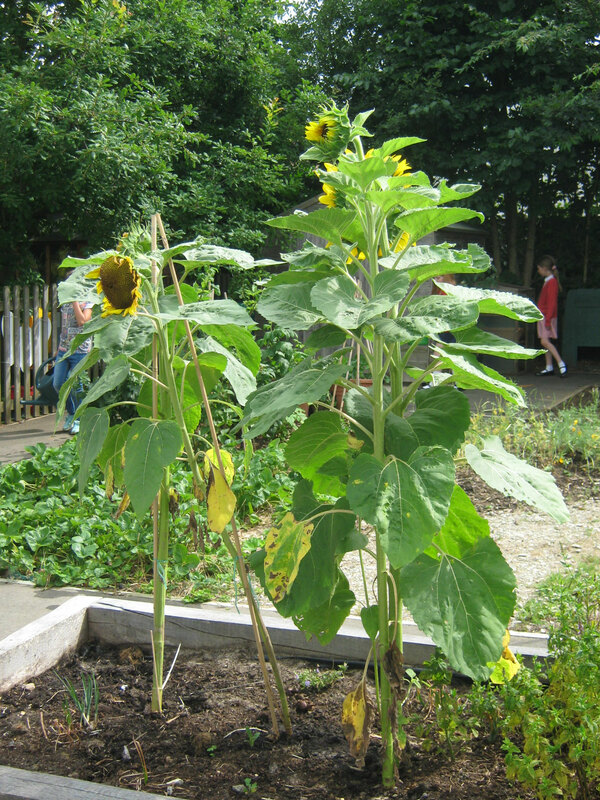 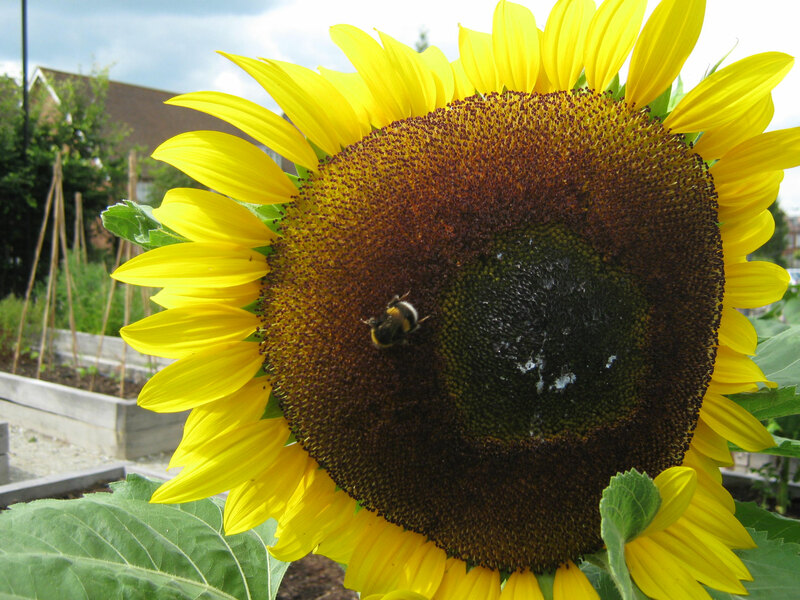 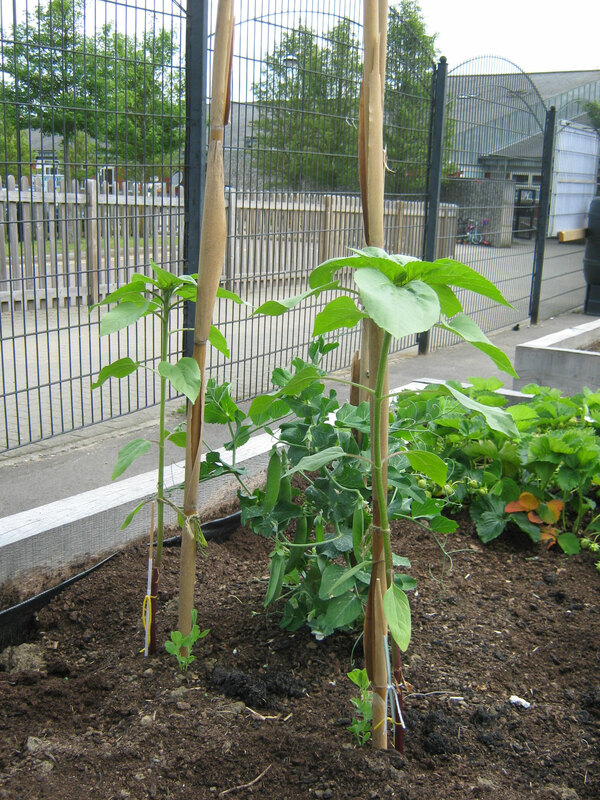 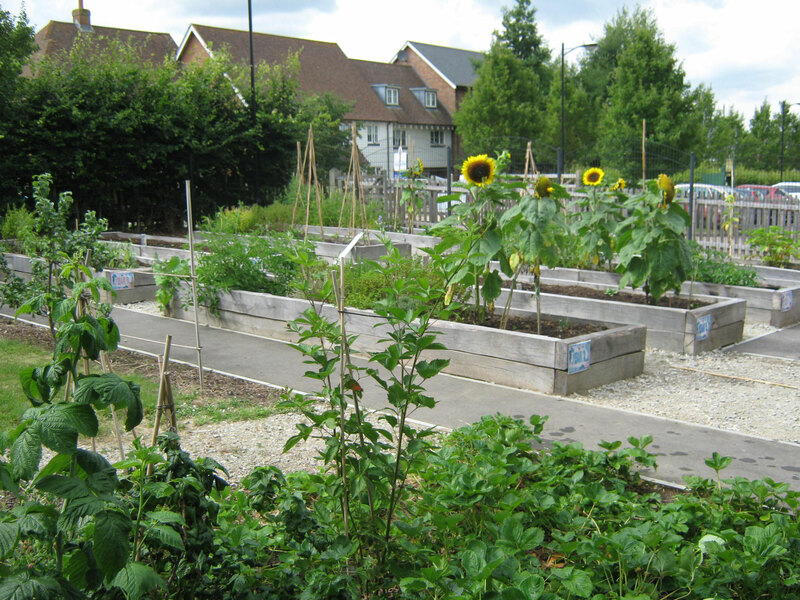 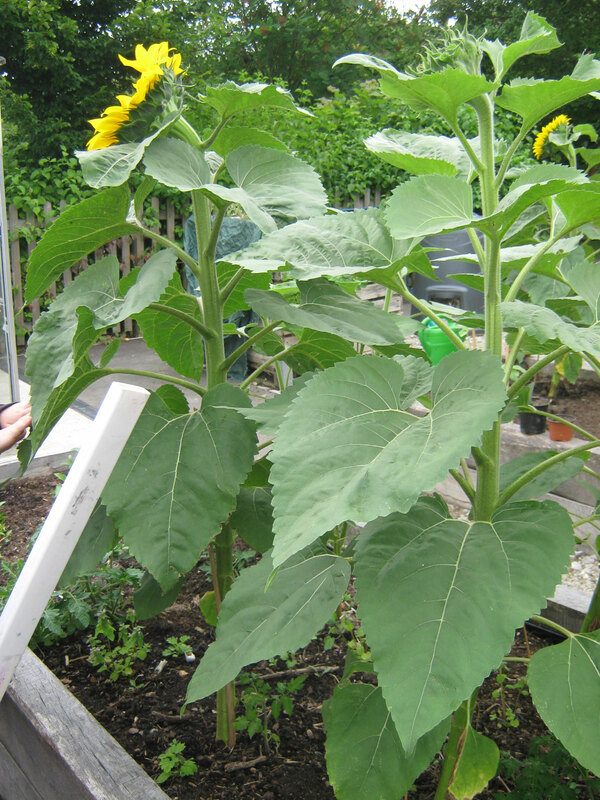 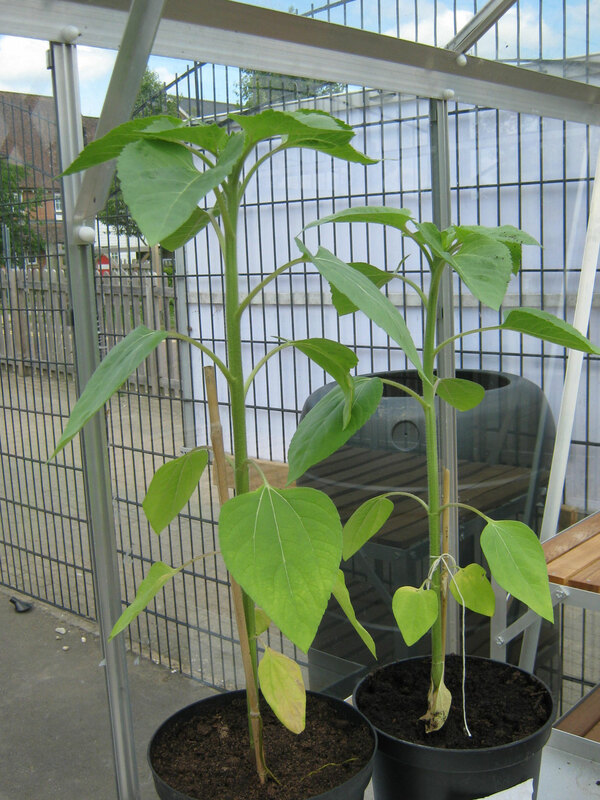 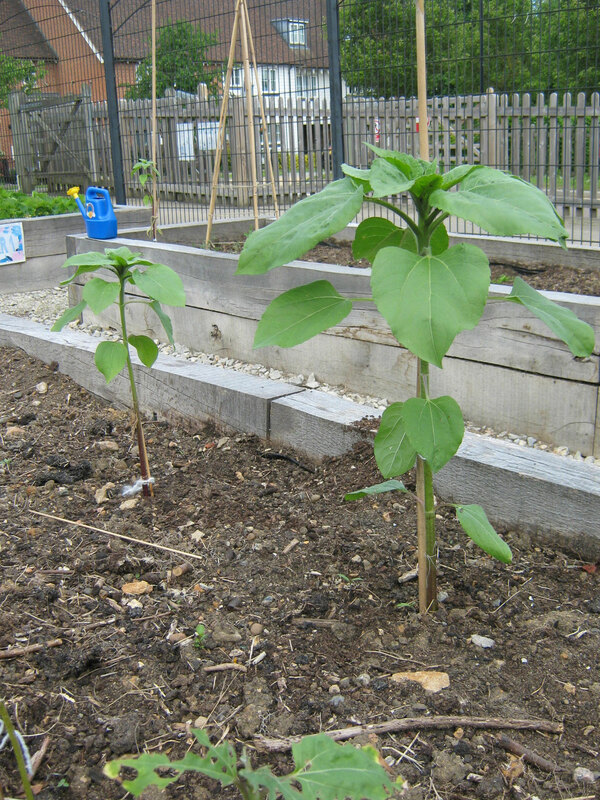 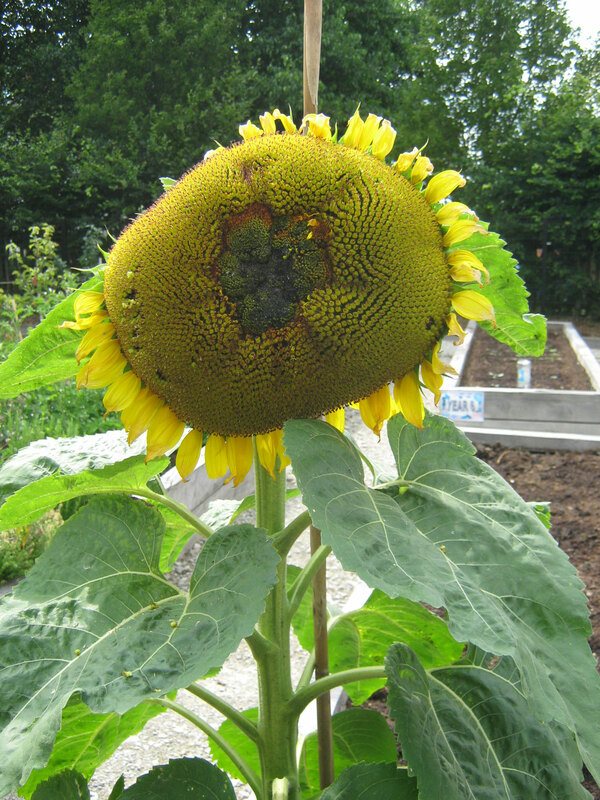 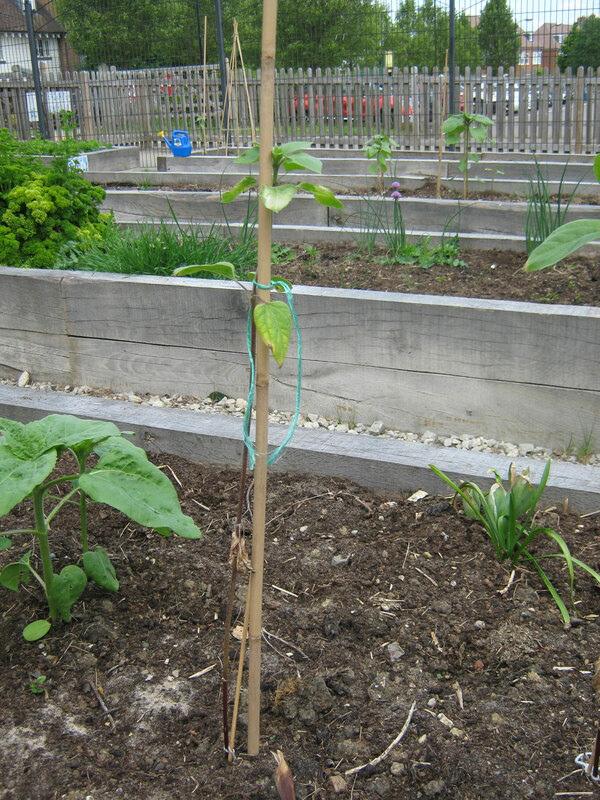 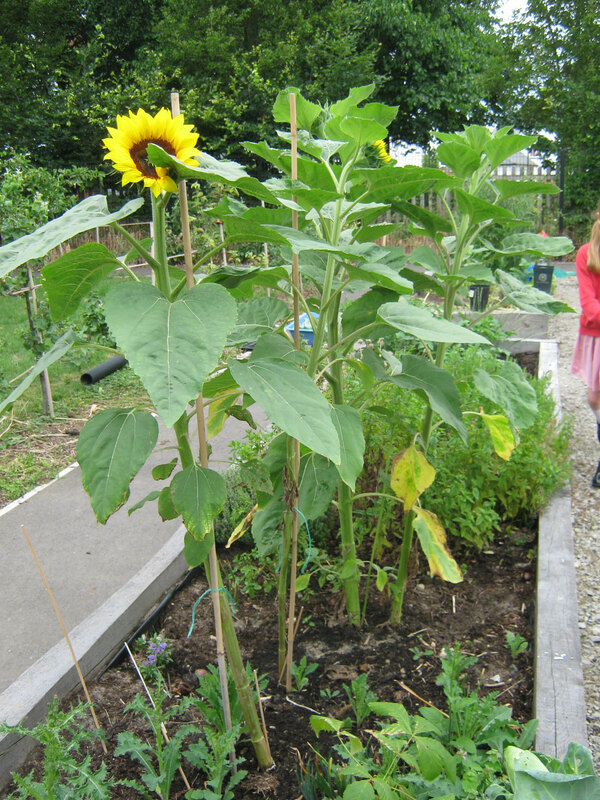 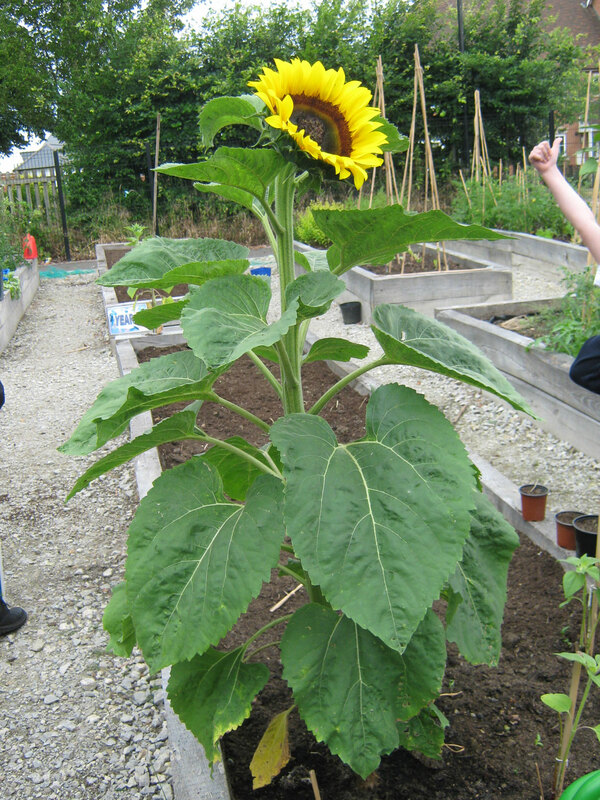 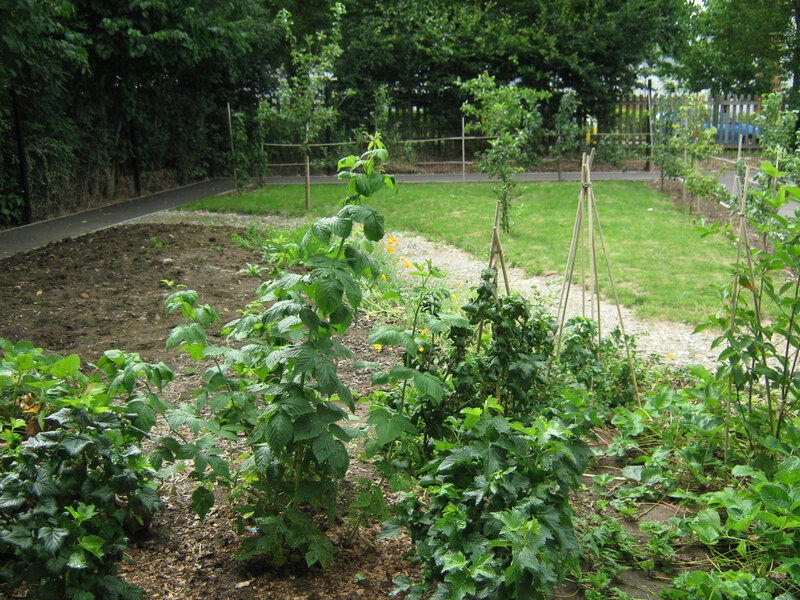 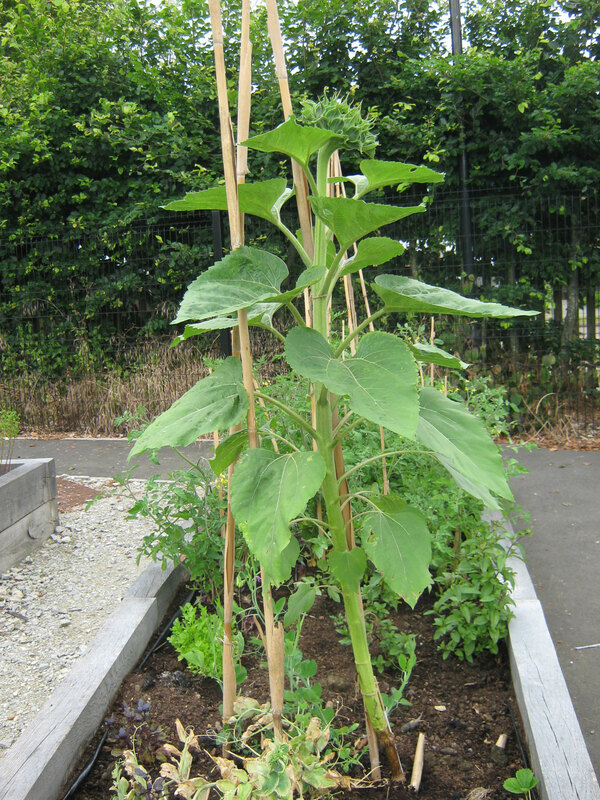 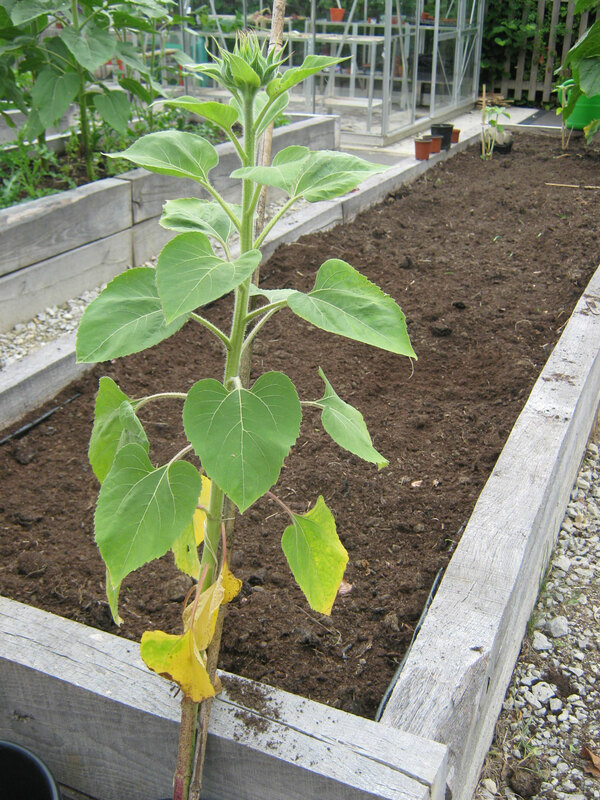 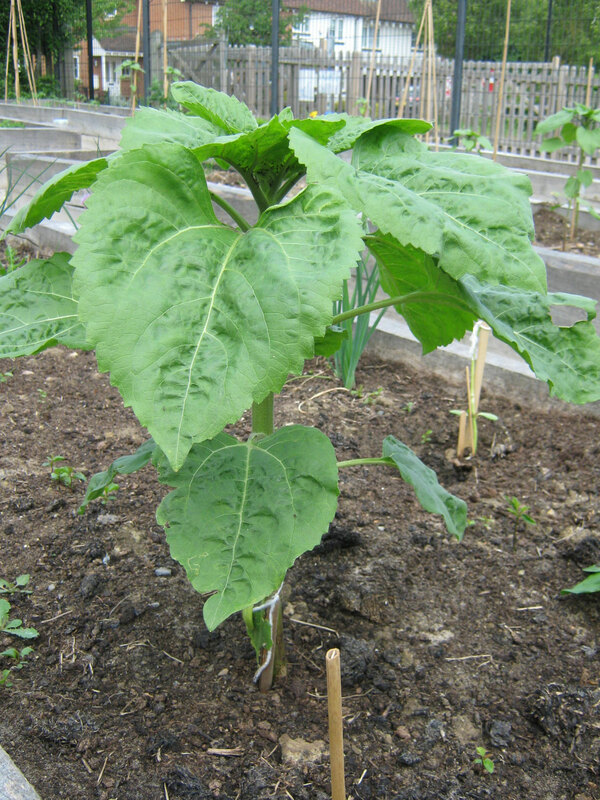 To encourage use of the allotment, the Eco-Club launched 'The Great Sunflower Race'. 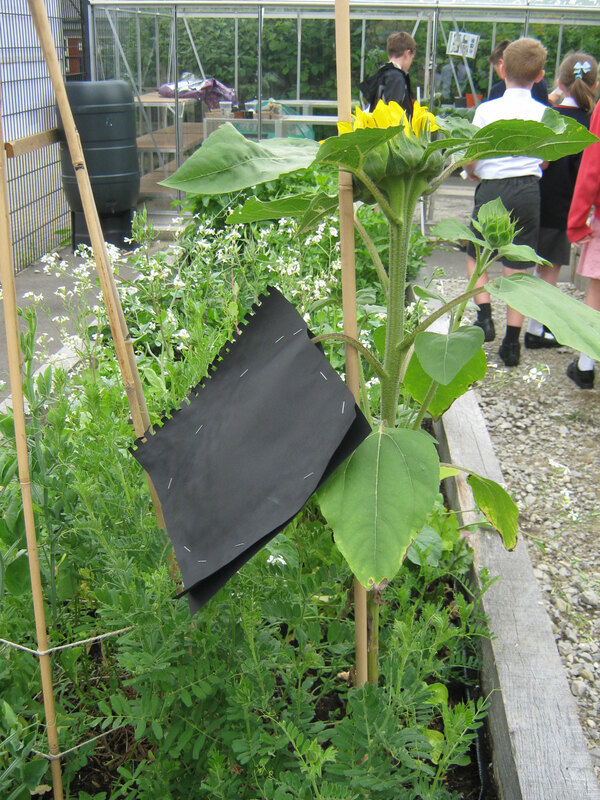 Each class were given sunflower seeds, soil, pots, labels and instructions and the race is on... 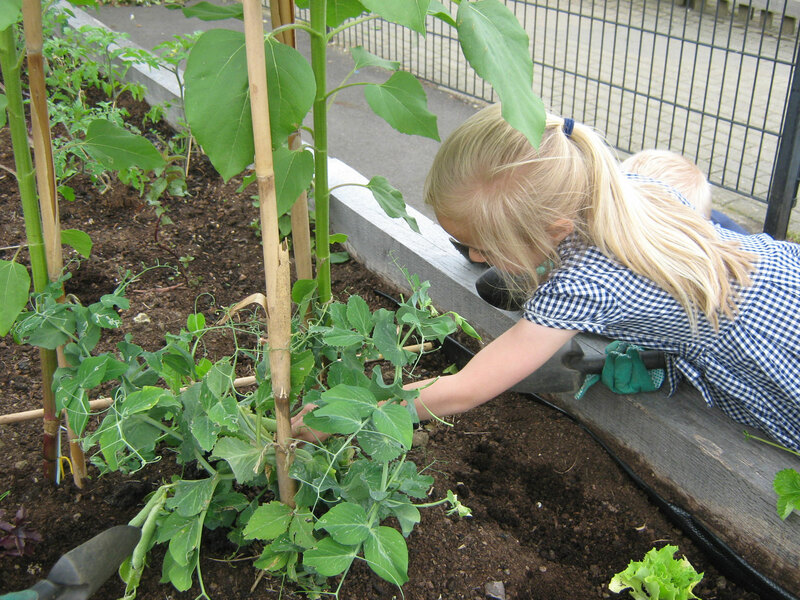 There are some close contenders at the moment so the children need to make sure that they keep their plants watered and supported. 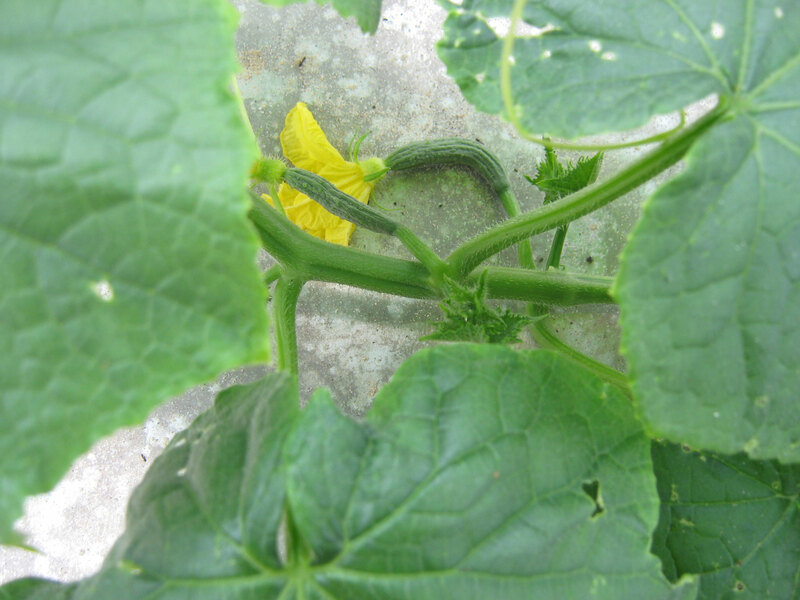 Who will be the winner? 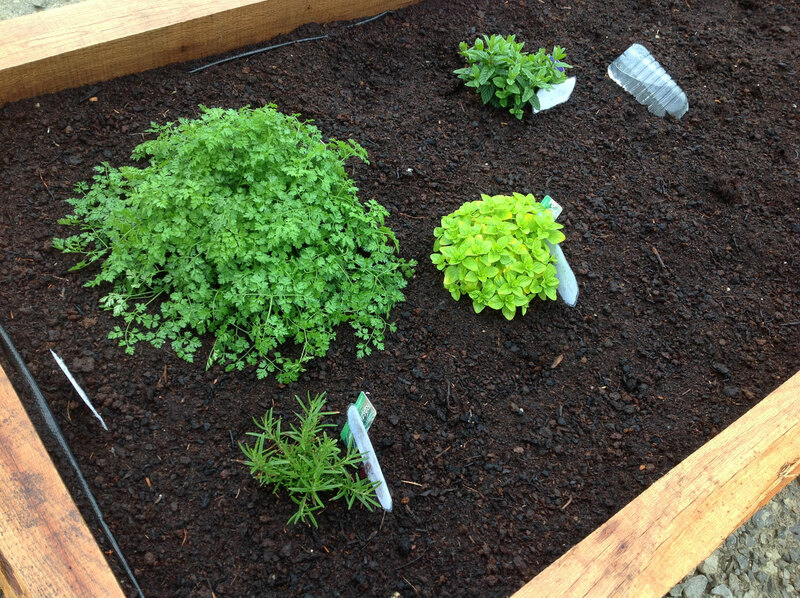 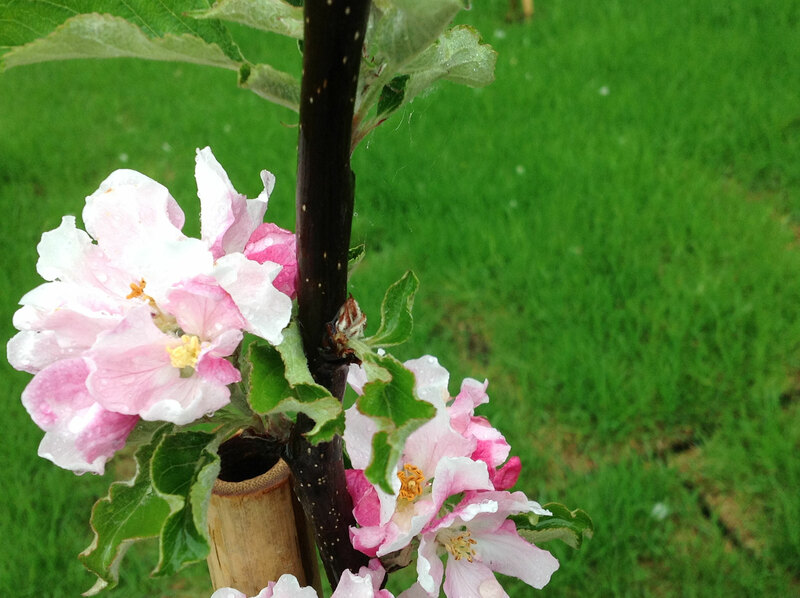 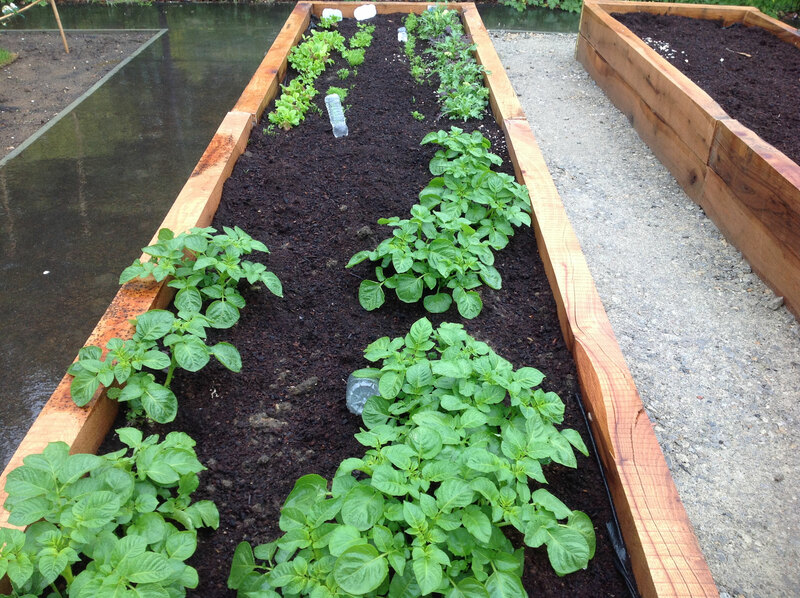 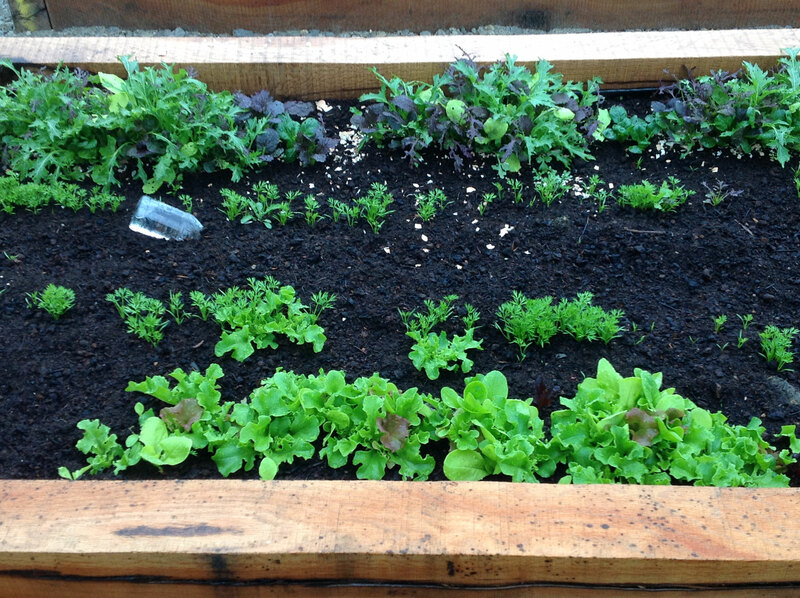 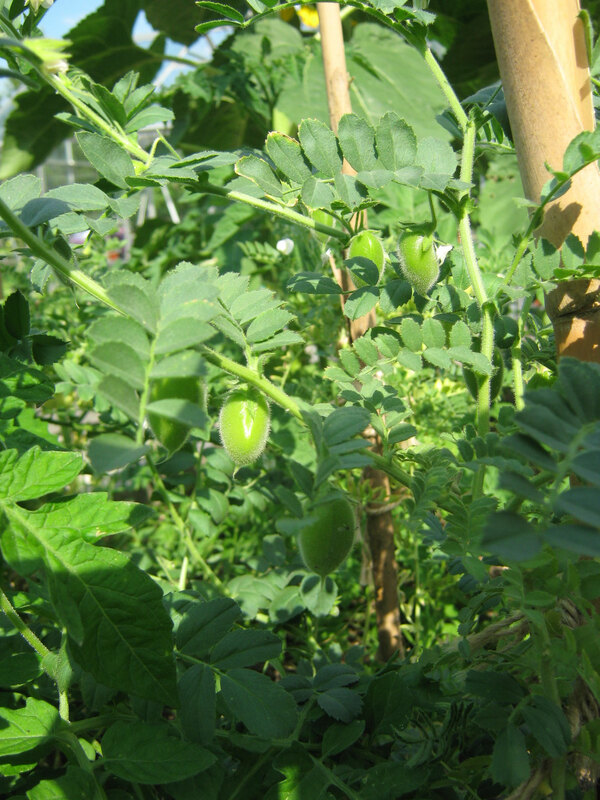 We are well into the growing session and have a selection of crops enjoying the much needed rain. 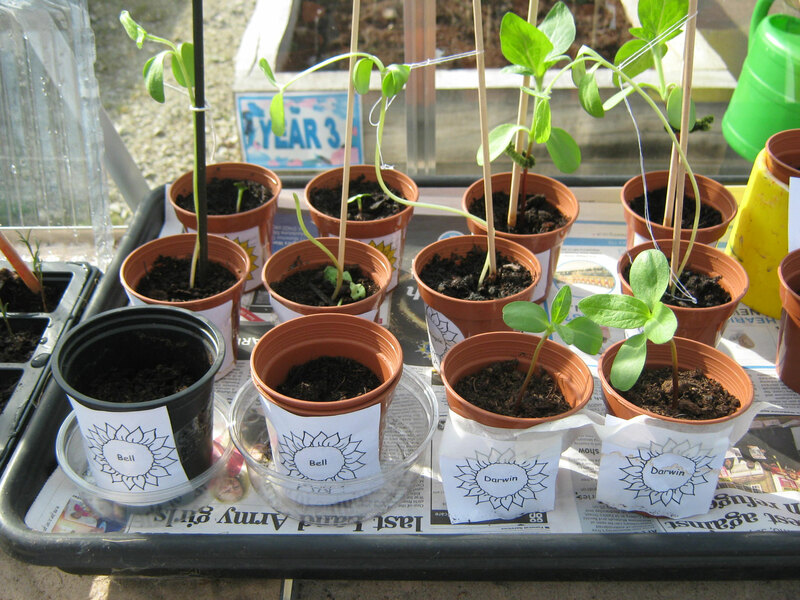 At the moment there are; sweet peas, chickpeas, lettuce, purple basil, chives, strawberries to name but a few, as well as the sunflowers of course. 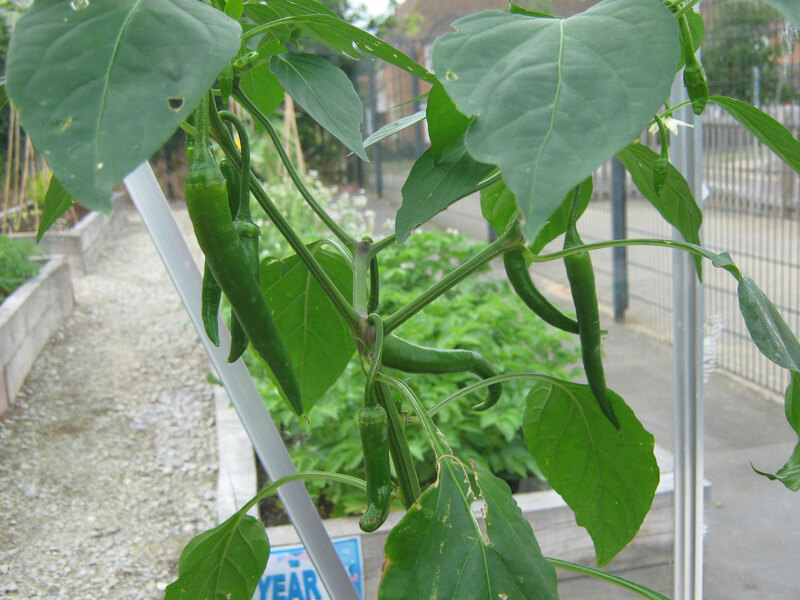 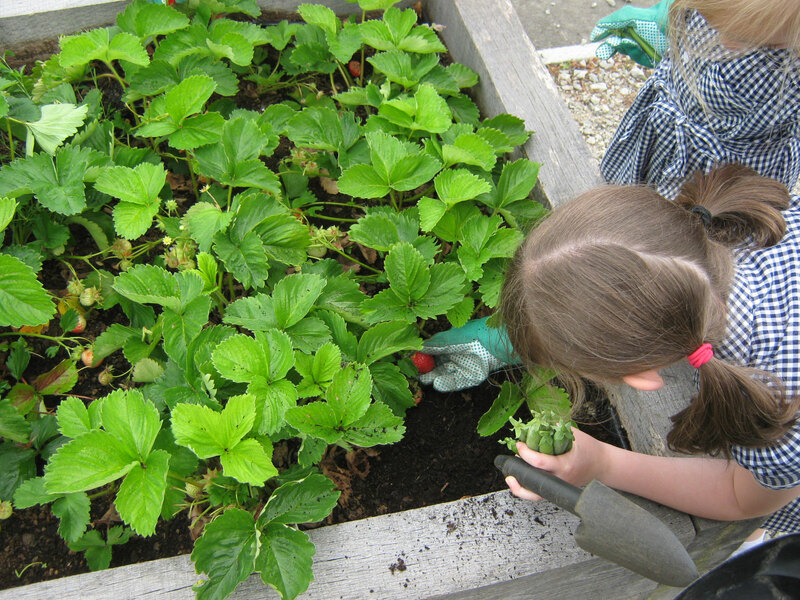 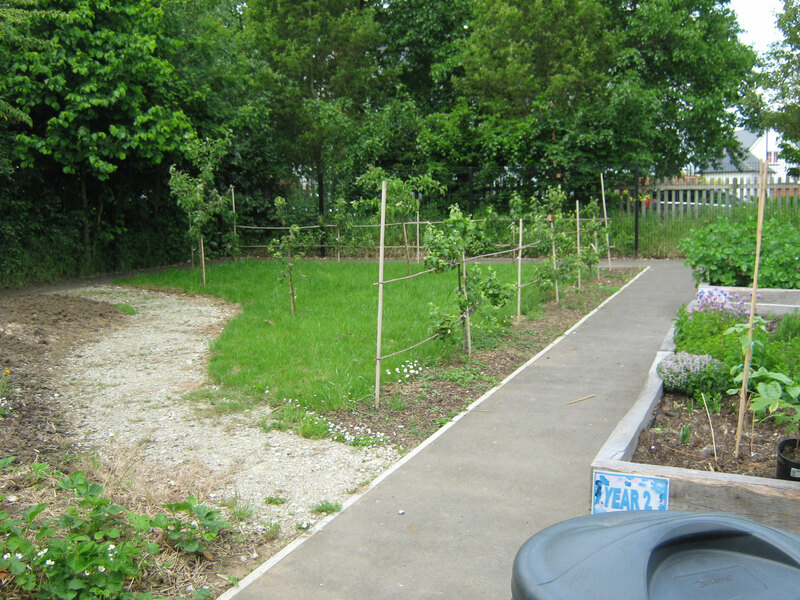 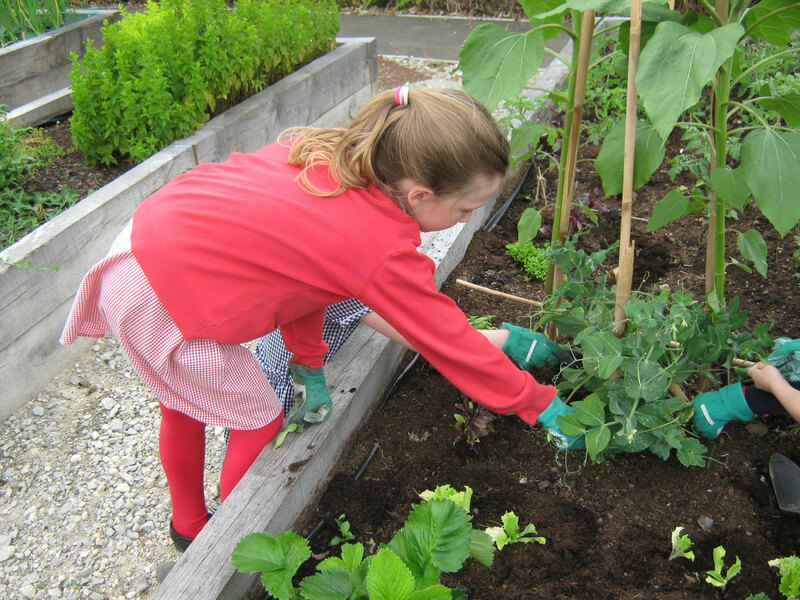 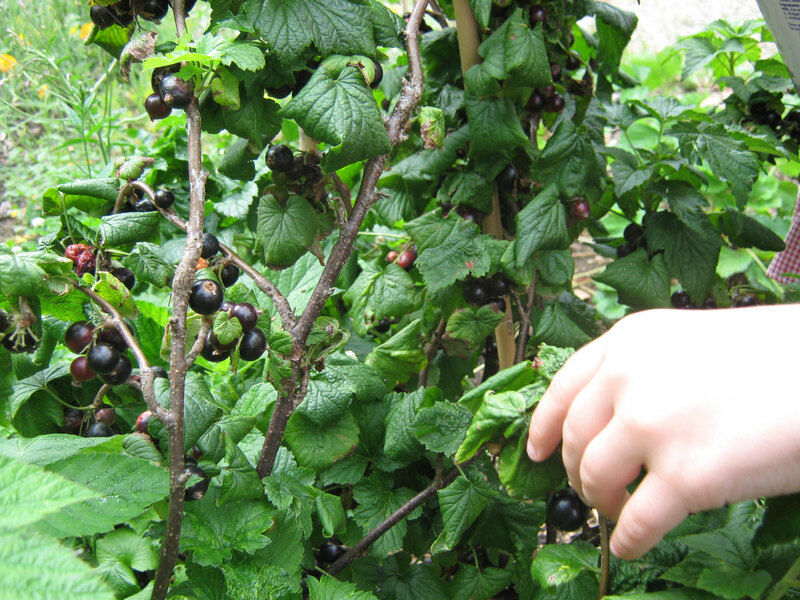 Children across the school have enjoyed helping at the allotment with sowing, planting, weeding and watering. 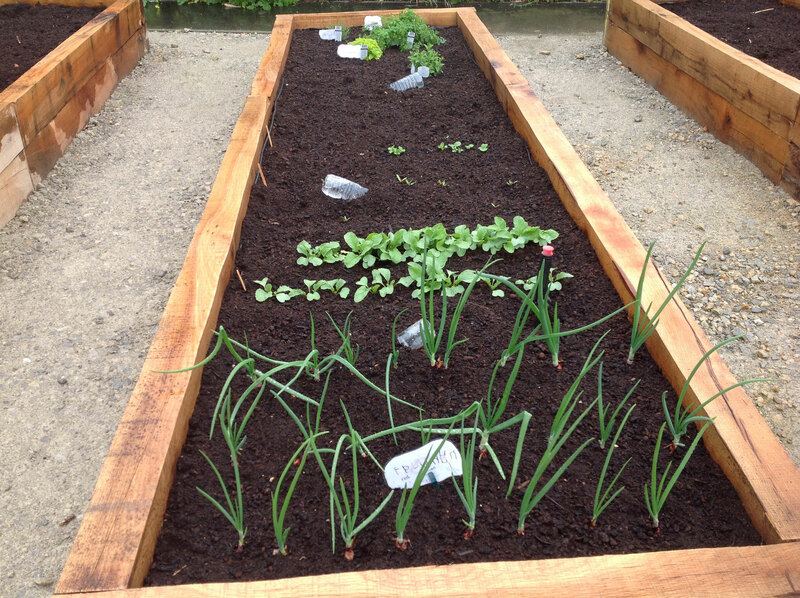 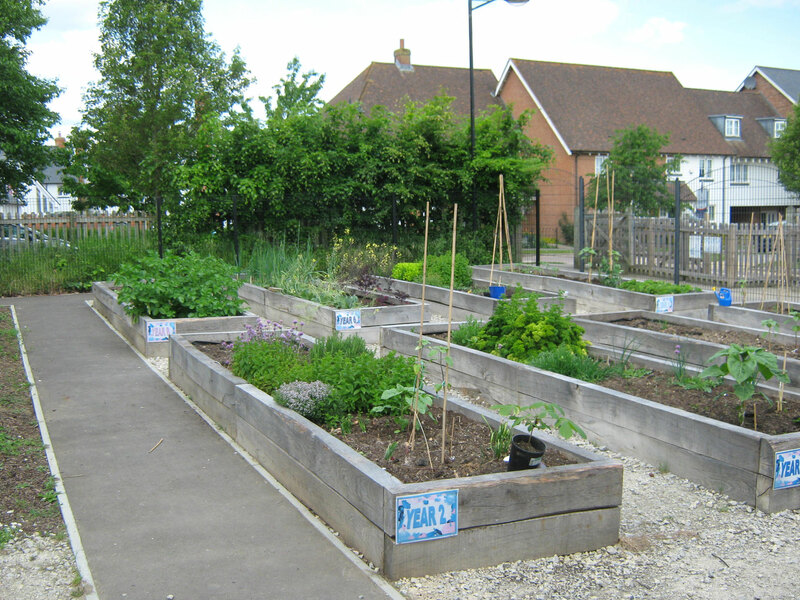 Year 6 are showing great dedication and perseverance by maintaining their raised beds throughout the year and growing difference crops for their World War II topic.